Pure radio business set to be sold | What Hi-Fi? Reports suggest the Pure digital radio business will be sold by Imagination Technologies, as the tech giant aims to cut losses and raise cash. Imagination, which designs the chips used in the iPhone, has seen its share price halve over the last three months. The Pure digital radio business has struggled in recent years, prompting speculation the business will be sold. The Sunday Times reports that investors have been told of the cost-cutting measures, adding the company's Kings Langley HQ could also be put up for sale, while the amount of money spent on research and development, and new products, is also likely to be cut. Pure released a new range of radios - "the world's best-selling digital radio range" - at the IFA show in Berlin last September, and has recently branched out into multi-room speakers, with its Jongo range, and in-car audio. Imagination Technologies released a profit warning in December 2015, with the news that pre-tax losses in the six months to October had deepened to £22.6m, up from £10.7m in 2014, while revenues slipped from £82.2m to £71.1m. 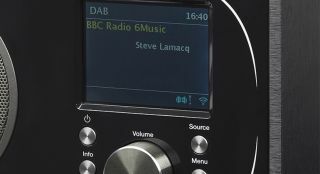 Now it seems the Pure radio business, which was founded by Imagination in 2002 simply to demonstrate the company's DAB decoding chip, could bear the brunt.